Like the unholy love child of Micro Machines, and Dreamcast classic “Speed Devils”, “Avoider” brings the one thing to micro car racing games that I haven’t seen before. Things blowing up left, right, and centre. 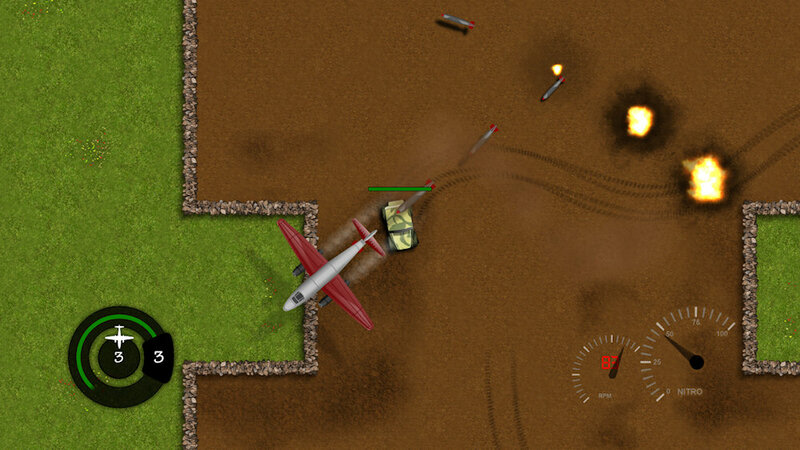 Bombers fly overhead dropping death on your little car, as you dodge and weave while navigating arenas (that, after a fashion, start to evolve with additions such as mines). It’s a simple formula, but easy to get your 80 Microsoft Points out of.